With today’s generation, most people are very concerned about their physical appearance and health – which is great. Why? It is because they believe that having a great physical body will lead them to success, fame, romance and a longer life. The most effective way to gain a great body is by exercising and dieting. Exercise, combined with proper diet, will help a person get that toned silhouette. Some people undergo physical operations to alter their looks and their bodies. If you are one of them, you may look and feel beautiful NOW. But is it the best choice? Will it make you healthy, resorting to surgery? Are you sure that there are no complications after 5, 10 or 20 years? A very beautiful flight attendant from an Asian country believed that she would advance in her career if she had a defined nose, bigger breasts and slimmer thighs. She planned to take a break from busy work routine and scheduled her “transformation”. She didn’t need a nose lift or liposuction. She was perfectly beautiful as she was – but as the society dictated – she has to fit the attendant stereotype. After the surgery, there were complications and that same week, she died. It only means that there are no shortcuts. If you want to have an attractive body, the only way to get that without compromising your health is through exercise and proper nutrition. There is no easy way. You just cannot take a pill and you will be thin the next day. That is physiologically impossible. 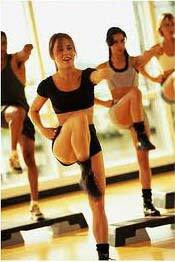 Exercising is not only for those who want to be fit and attractive; it also dramatically improves self esteem. Why do you think athletes are so confident all the time? It releases endorphins that make a person well and happy. So, it is not only beneficial for the body, but for the mind as well. It is important to do a 15-minute routine exercise everyday, such as walking, jogging and dancing. You need this because this will keep your metabolism continuously burning, which will eliminate the fat from your body. After some time, you can increase your routine to 30 minutes per day or up until you can manage. Some people do cardio routines for at least an hour daily. That is good provided that you do not over-exert yourself. Too much of a good thing can be a very bad thing. While cardio makes you burn the fat, you have to tone the saggy skin following the fat reduction. Do a weight lifting program to fit your body type and capacity. To do this, you may need a fitness expert or trainer to assist you. Aside from weights, abdominal workouts are also a must since the “core” or the abs is a muscle group that greatly affects all the bodily functions. Make that area strong and you will surely lose weight faster. Exercise is half of what you need to get that delicious body. The other half is food. I say eat whatever you want to, but in moderation. If you used to eat one candy bar a day because of your sweet tooth, then lessen it to half a candy bar. It is also important to change eating habits slowly rather than abruptly because most dieters find it easy to break the chain because of self-deprivation diets and regain all the lost weight. If you are really focused on losing the healthy way, follow the food pyramid and eat at least 5 times a day. These are not 5 full meals, but 5 small meals to keep you full all throughout the day. If your stomach is filled up almost all the time, your metabolism should increase and impulse eating will be reduced. Remember that exercise and diet go together. There is no easy way. To have that desired body, you need to be disciplined. You also have to patient. No pain, no gain.